Watching our collective consumption is the first step to mitigate climate change, conserve resources and reduce waste. Consumption is easier to comprehend at an individual level, but when considered in a larger cultural & societal context, it is tough to understand how each one of us can influence consumption. Since 2013, we explored this issue along with the help of many experts and community leaders. Here we have a quick and easy guide for you to treat as a beginner’s resource to learning about the consumption, its impacts and what you can do. 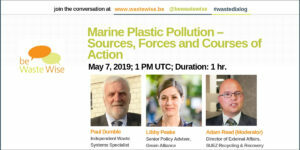 Start by watching this panel discussion (or reading the summary) which introduces you to Culture, Consumption & Waste Management. Continue learning about how Changing Lifestyles (and therefore consumption) could Mitigate Climate Change. After learning about consumption and its impacts, learn how it can be reduced by Empowering Households to Reduce their Waste and by Involving the Community in Waste Management. Want to know what you can do? Watch this powerful video where Beth Terry from My Plastic Free Life tells What Each One of Us Can do to Reduce Pollution by reducing consumption. You can also quickly read an interview with Beth where she tells us about how she kicked the plastic habit. Looking for more solutions? Head to this interview with Jeff Kirschner of Litterati where he talks about how his mobile app encourages more people to practice better waste management. To learn about consumption of food waste, head to this panel on Behavior Change and Food Waste. You could also quickly read up about the Behavioral Drivers Behind Food Waste. Learn how Economic Instruments can be used to reduce Packaging Consumption and follow it up with a technical discussion on Tools for Managing Consumption in Cities. Finally, see the Future of Waste Prevention and the Sharing Economy. Is there a specific area of consumption & waste management that you want us to host a panel discussion on? Or, is there any other other panel or article (external to this website) that you think should be linked as part of this guide, do let us know in the comments. 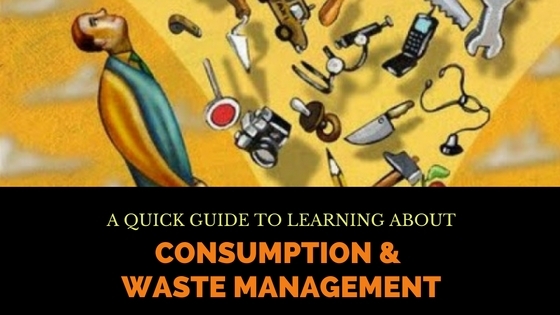 Want to learn about Consumption & Waste Management? This resource from @bewastewise is a good start.